You don’t have to be staying at The Boardwalk Resort to enjoy all there is to do in the Boardwalk area. This part of Walt Disney World consists of 4 resort hotels, a dance hall, a number of restaurants and so much more. There is so much to do, some for a fee and others for no money at all, it’s definitely worth a trip there to check everything out. As well, it’s fairly easy to get to! 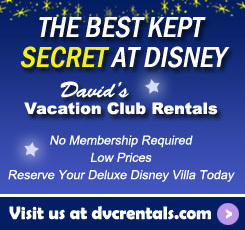 If you have a dinner reservation at any of the restaurants in the Boardwalk area you are usually allowed to self-park for free in the lot reserved for those staying at the resort, or you can opt to valet park there for $25 (btw if you do valet park save your receipt if you plan to go to any other resorts that day—you will only be charged once per day). I should mention that during certain times of the year, even with a resort reservation you may not be allowed to self-park—particularly during the Food and Wine Festival that takes place at Epcot in the Fall. Your safest bet to reach the Boardwalk Area is to either take the boat or walk the path from Disney’s Hollywood Studios or Epcot. The boat is just to the left as you exit Hollywood Studios. The walking path is straight ahead once you exit Hollywood Studios, and once you reach the street you turn left (there is a sign). From Epcot, exit the International Gateway, the “back door” that is located between the UK and France in World Showcase. When you exit you will pass a store on your right (World Traveler), continue past that and you will see the boat dock on your left. If you decide to walk just keep going pass the boat dock. To reach Boardwalk make your first left. The walk from the Studios to the Boardwalk is just under 15 minutes, from Epcot to the Boardwalk it is a five minute walk. There is so much to do it’s hard to know where to begin. I’ll start with recreational activities. 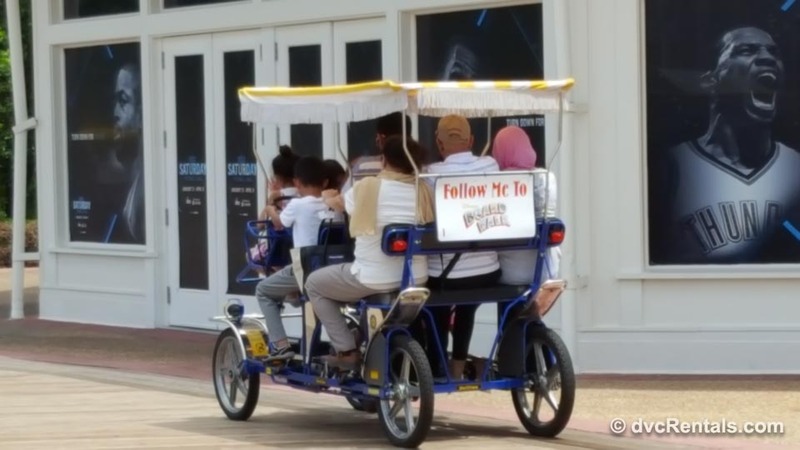 Surrey bikes are available to rent on the Boardwalk, and they are fun for the whole family. Some are one-bench bikes built for two pedalers, some are two-bench bikes built for four pedalers, and some are three-bench Grand Surrey bikes built for six pedalers. However this does not mean you are limited to six people on the bike. The bikes all have a front basket area which seats up to two small children, depending on their size. And there is a cool bell to ring so let folks know you’re on your way, which is easily reached by any kiddos in the front. 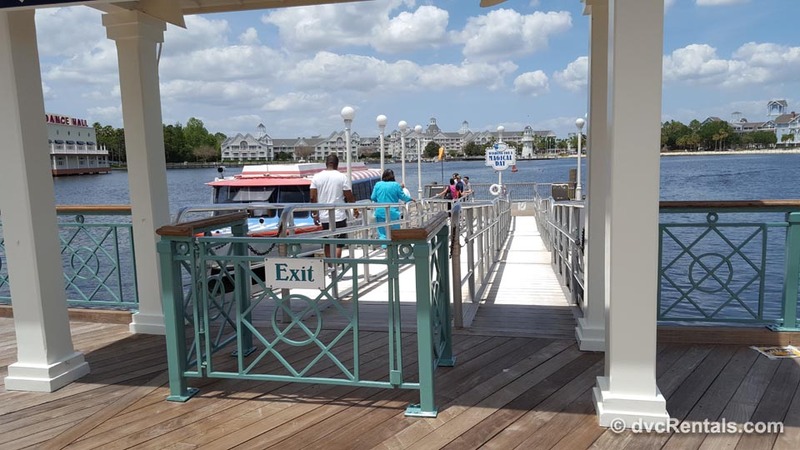 If you’re looking for water fun you just have to walk a short distance around the lake to the Beach Club, where you will find Sea Racers (small motor boats), that can be rented to boat around Crescent Lake, the body of water that is found in the area. You can drive the boats all around the Boardwalk area as well as almost all the way to Hollywood Studios. For both the bikes and the boats inquire about discount rates for DVC members, Annual Passholders and Disney Visa cardholders. These discounts vary from year to year (sometimes season to season) and place to place. 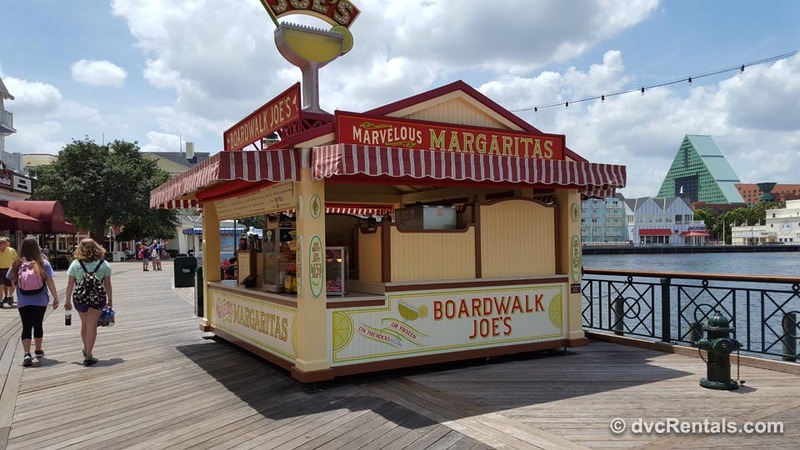 It would take a really long blog to tell you in detail about each restaurant in the Boardwalk Area, especially since it’s an easy walk to the Beach Club, Swan, and Dolphin Resorts. But rest assured there are quite a number of great dining options. 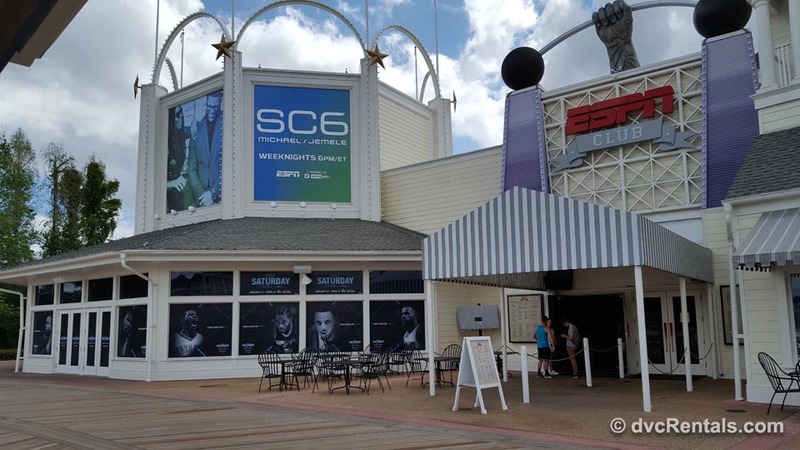 For full service dining, the Boardwalk has (in no special order): The Flying Fish, Trattoria Al Forno, Big River Grille and Brewery, and the ESPN Club. The Cape May Café is the only full service at the Beach Club, but right next door at Yacht Club you can find the Yachtsman Steakhouse and the Captain’s Grille. Dolphin Resort has Shula’s and Todd’s Blue Zoo, while the Swan has Il Mulino, an excellent and reasonably priced Italian spot that I consider a hidden gem. 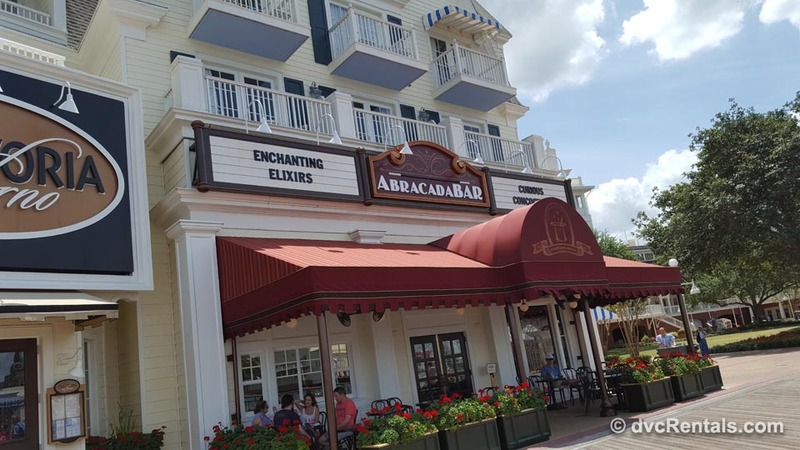 There is also a full service bar with the cute name of Abracadabar on the Boardwalk, a relatively recent addition. There are also multiple quick service food options. 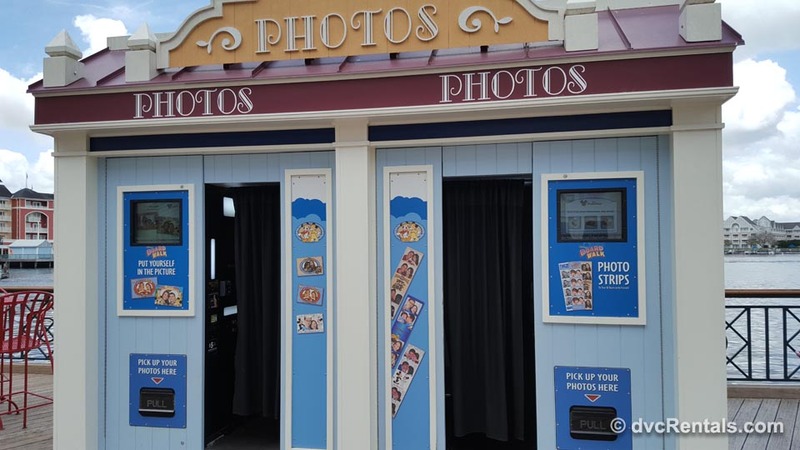 The Boardwalk itself has a number of booths and carts. You can find everything from hot dogs to funnel cakes to Margaritas and more. 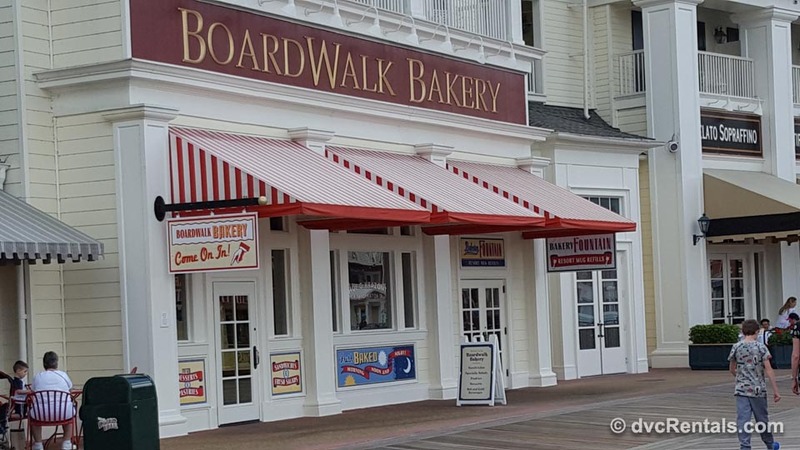 The Boardwalk Bakery is excellent for sweets, but also has a good selection of sandwiches to choose from for a quick lunch. 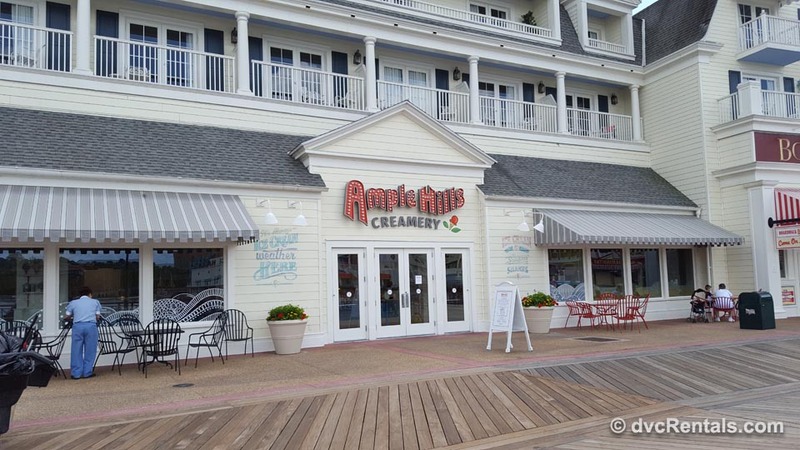 There is a relatively new Ice Cream Parlor on the Boardwalk, but there are no tables inside, it’s only “to go”. However, there are many of table located outside the Ice Cream Parlor right there on the Boardwalk. There is also a Pizza Window connected to the eatery I mentioned earlier, Trattoria Al Forno. You can access the window from the Boardwalk, no need to enter the restaurant. 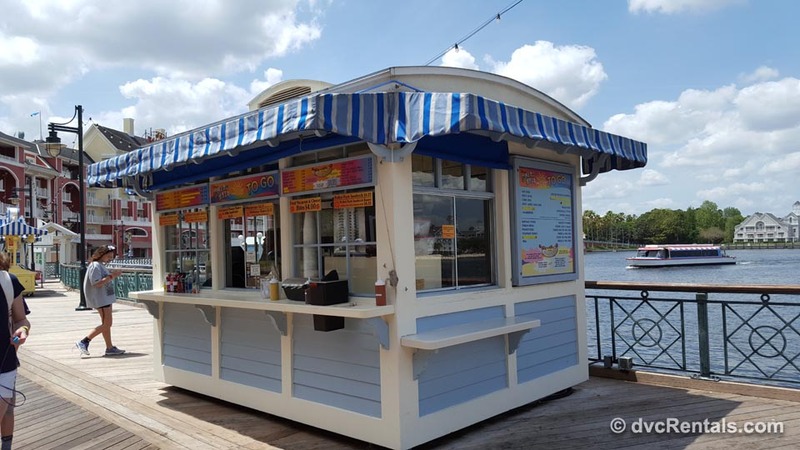 Other quick service options are found at the Beach Club, Swan and Dolphin Resorts that surround the Boardwalk. My personal favorite is a cafeteria style place in the Dolphin known as Picabu. They have many types of foods to choose from, I like it all but highly recommend the nacho plate. You choose what you want added, and they pile it on for you, very yummy and very reasonable. Oh, and if you want to sit down to eat your ice cream just walk over to the Beach Club to Beaches and Cream. Their HUGE “Kitchen Sink” is quite popular and they make quite a show of it when they bring it to your table. Let’s see what else?? Well there sure is plenty of shopping available, starting with a small cart located opposite the ESPN club. 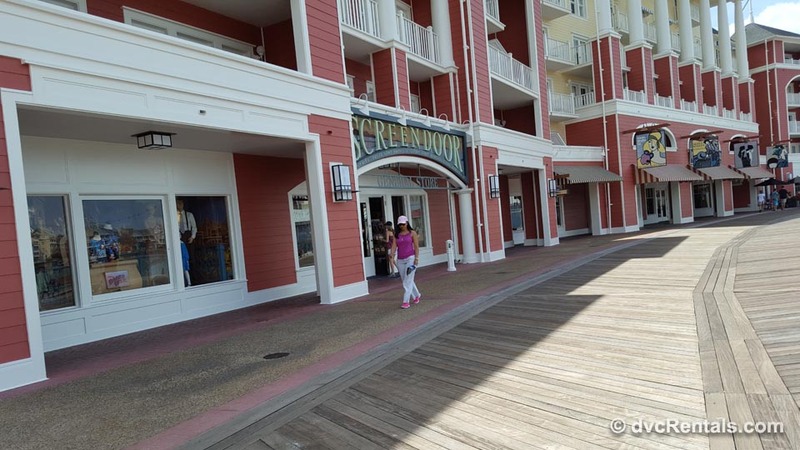 Keep going down the Boardwalk and you’ll find a huge store called The Screen Door. Not only is there a ton of great merchandise here for all ages, you can also find lots of refrigerated and frozen snacks as well as hand- made dipped apples and other fresh candy. If you enjoy looking at beautiful paintings Wyland Gallery is located on the Boardwalk. There is also a small arcade. You can get hair wraps done, as well as caricatures drawn. You can simply walk or run around Crescent Lake, it’s a beautiful stroll. You can start anywhere you choose around Crescent Lake, you will go in a complete circle, ending up where you started (or stopping off anywhere along the way). During your run/walk you will pass the all the stores and restaurants I mentioned, Jellyrolls, Atlantic Dance, and the Swan, Dolphin, and Beach Club Resorts, as well the boat marina. Oh, and you can get married on the Boardwalk! 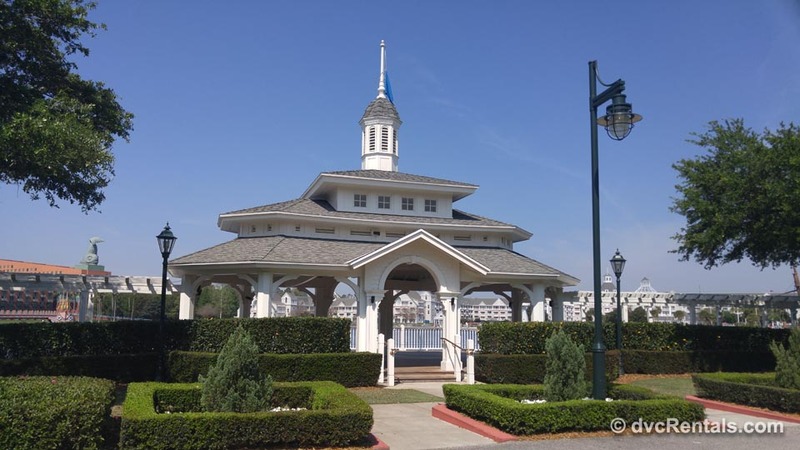 There is a very pretty gazebo area that juts out into the lake called Seabreeze Point where they hold weddings. As much fun as the Boardwalk is in the day, it really comes “alive” at night. There is FREE entertainment, generally starting about 7PM and ending about 10 PM. You’ll see jugglers, magicians, and more, and almost all are looking for volunteers to help them in their acts. Both kids and adults are chosen; try to get a spot up front if you want to be picked. There is no set schedule, just look for the folks who are setting up, or for the crowds that will inevitably gather to watch the fun. You are able to see three different fireworks shows from the Boardwalk at night. To see a GREAT view of Illuminations head towards the Bridge that connects the Boardwalk to Epcot. Standing on that bridge you’ll be able to see and hear most of the show. If you stand near the Boardwalk Bakery and look across the water to your right, Happily Ever After is visible, albeit a bit in the distance. If you look to your left, you will be able to see the fireworks from Disney’s Hollywood Studios. Times for these shows vary, so be sure to check if it’s important to you, I wouldn’t want you to be disappointed. Two more options for the evening are places that stay open quite late. Both are located on the Boardwalk. The musicians at Jellyrolls, a Piano Bar with “dueling pianos” take requests and invite the audience to sing along. The cost is $12 to enter, and you must be 21 or over to get in. Once in, you are not pressured to spend any more money but if you are so inclined alcohol and some food is offered for sale at Jellyrolls. It’s a lot of fun, especially with a large boisterous group. Jellyrolls opens at 7PM and closes at 2AM. For you dancers out there, right near Jellyrolls you will find Atlantic Dance Hall. Most of the songs are from the 80’s and 90’s, and the club has an art deco design. There are balconies outside so you can take a break and enjoy the views of Crescent Lake. 21 and up only, open from 9PM until 2AM. There is no cover charge at Atlantic Dance. As you can see there are certainly a plethora of things to do in the Boardwalk area. Even if you have been there before I suggest you check it out again, as many of the shops, stores and restaurant options have changed in the recent years. And if you have never been to the area it’s definitely worth a trip over. Although there are many things that entail a fee, there are plenty that do not. It’s great any time of day, but if possible I would suggest an evening visit when things are really hopping. Have fun!! 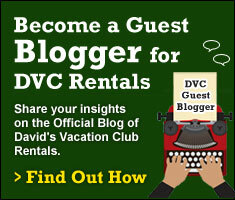 10 thoughts on "Fun at Disney’s Boardwalk Area"
We went on a bike ride and the rabbit died. Just got back, great location! It looks like a place to go once and maybe spend an afternoon there. It looks nice, but I don’t think I would want to stay there.